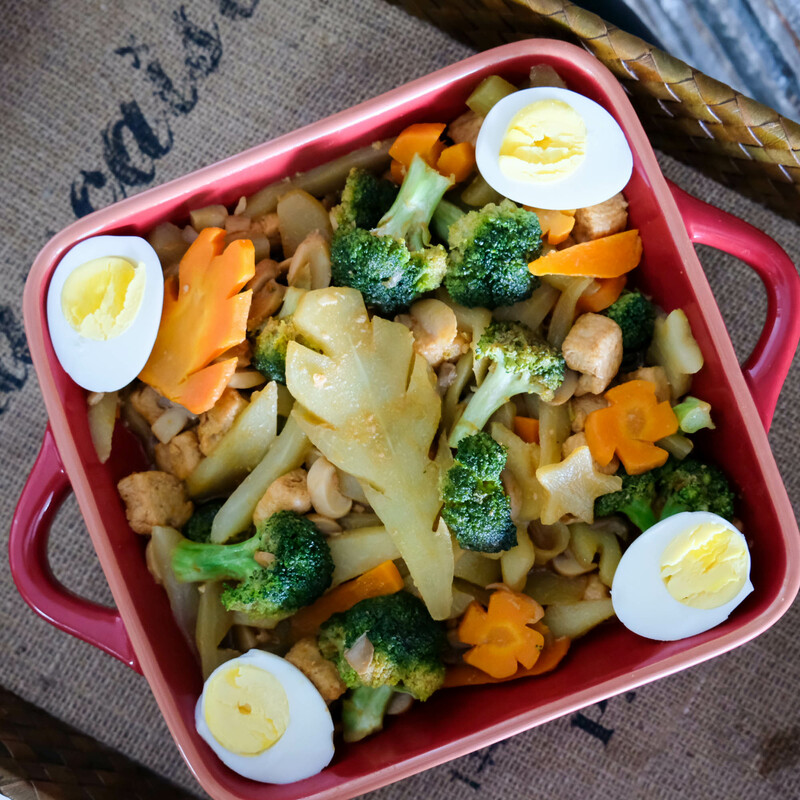 My kids like BBQ chicken, beef tapa, ham, tocino, and other dishes that are savory and meaty. Thankfully they also like vegetable dishes. 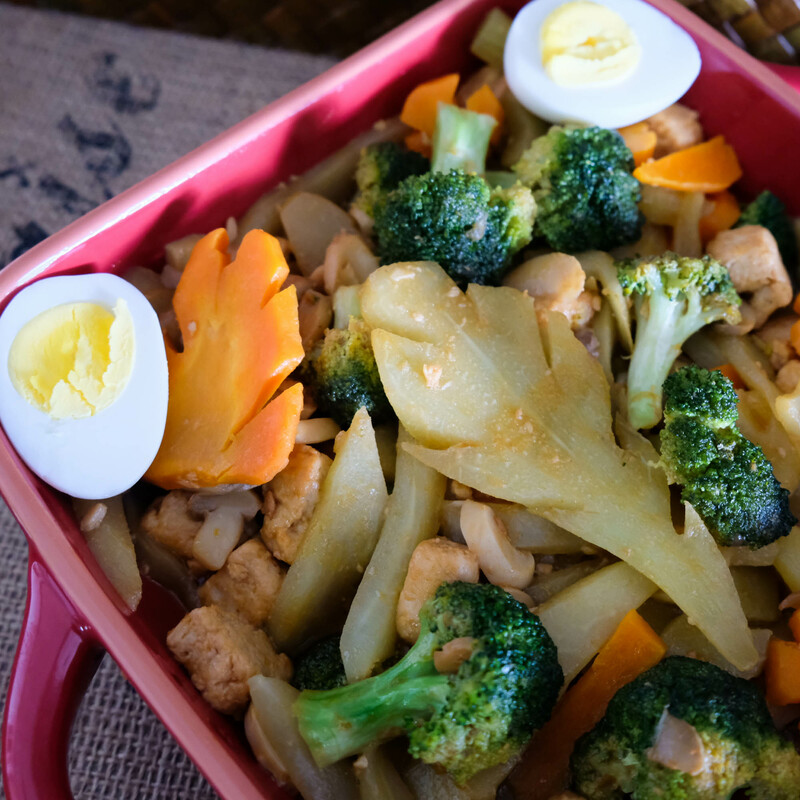 Sayote, carrots, broccoli, eggplant are their favorite veggies that I usually try to cook in different ways. Stir fried with oyster, with pineapple, blanched with light soy sauce, buttered, mixed with soup and anything else that gives a bit of flavor so that they get their daily veggie intake. Hahahaha. 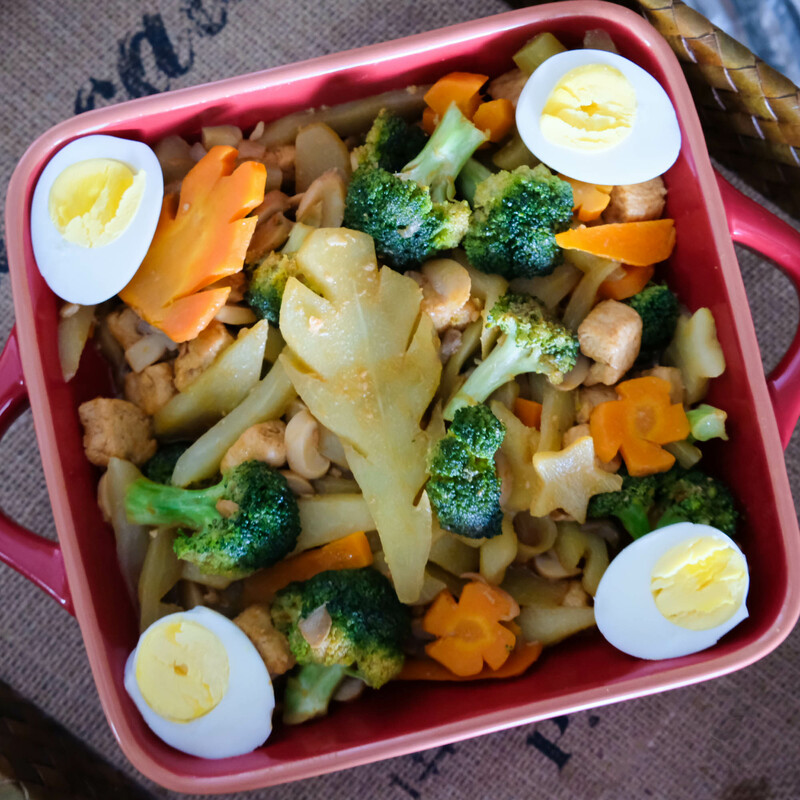 Here’s one easy peasy sautéed veggie dish that my kids have come to love. It’s really just tossing all the ingredients together. I used Grande Rice Bran Oil to deep fry Quorn Meat-Free Chuks. I’ve been putting off deep-frying for months simply because we wanted to switch to a more healthier lifestyle–we’ve been air-frying everything! Though it taste just the same, sometimes I crave for that good ol’ deep fried food! Good thing there’s Grande Rice Bran Oil. It’s 100% rice bran oil and naturally loaded with antioxidants–rich in oryzanol, balanced fat profile, and has no additives. What makes this oil apart? Almost all cooking oils go through a chemical refinement process to remove any unwanted compounds like free fatty acids. While the oil becomes more refined to become edible, it also strips it of any natural antioxidants and nutrients. 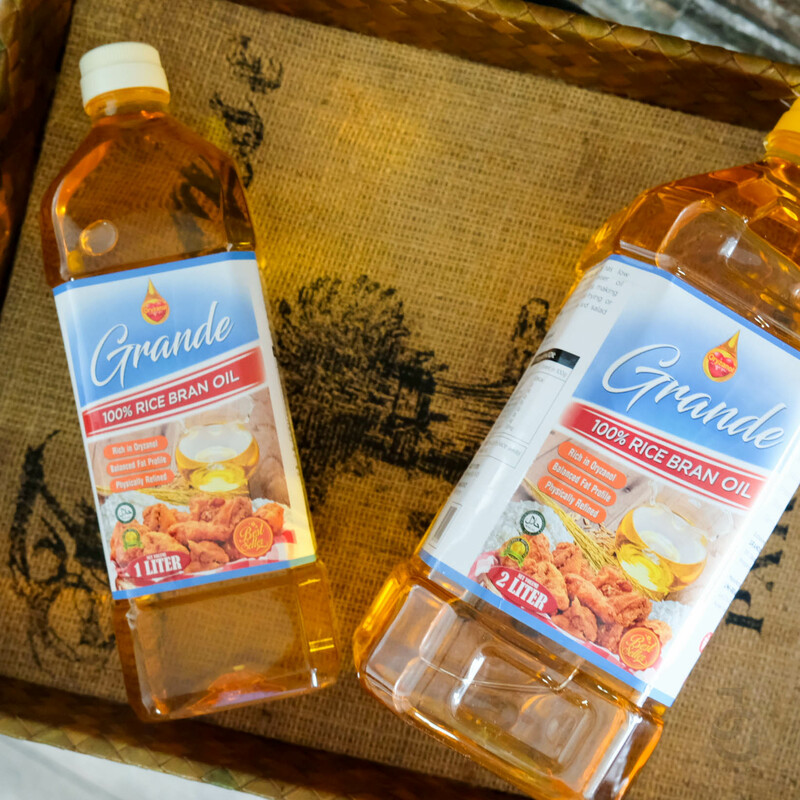 Grande Rice Bran Oil is refined physically so that no caustics and acids are used, thus retaining all natural nutrients within the oil – no need for nutritional additives. Currently Grande Rice Bran Oil is available at Rustan’s Supermarkets nationwide. Discovered Quorn in the supermarket one grocery run. It was actually their Meat-Free Nuggets that we’ve first tried & my kids loved it. Now we’re adding Quorn Meat-Free chunks as a freezer staple–really you can mix it with anything. 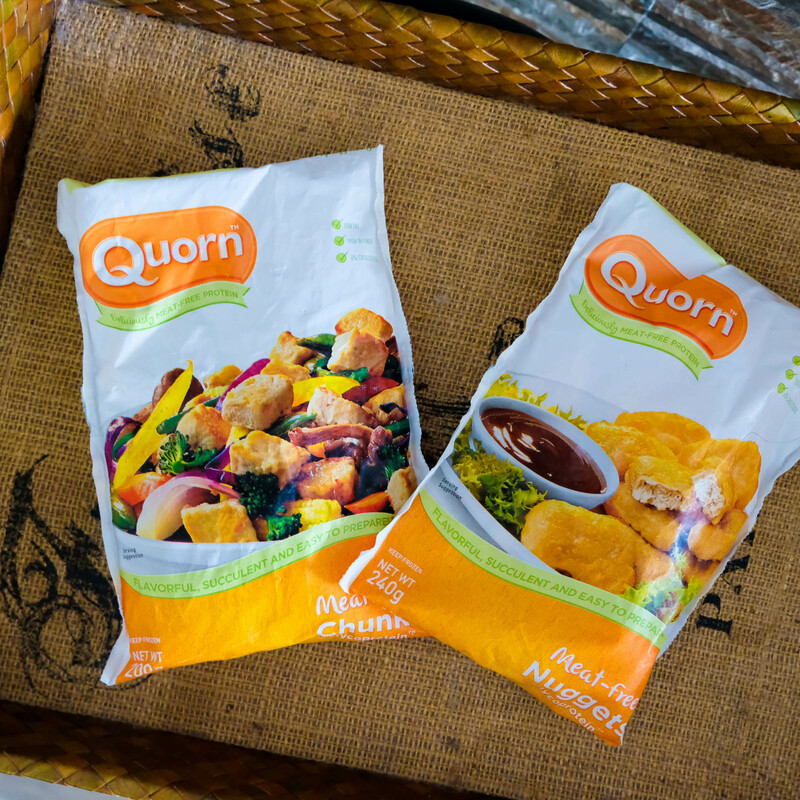 The main ingredient of Quorn™ is Mycoprotein™, a naturally healthy protein from nutritious fungus that is meat-free & non-GMO. Mycoprotein™ has high protein and fiber, 85% less saturated fat than beef, 200 fewer calories per meal, and 0% cholesterol. Quorn is available at leading supermarkets nationwide. Sauté garlic and onion with 2 tbsp. Grande Rice Bran Oil. Add carrots, broccoli and sayote and stir fry for a few minutes or until half-cooked, then add button mushrooms and let simmer for 5 minutes. Season with salt and pepper to taste and top off with Quorn deep fried Meat-Free chunks & boiled eggs too (optional). That’s it pancit! Speaking of pancit, this could also work as Pancit Canton toppings which we sometimes do (we just add a bit of soy & cornstarch before mixing with cooked pancit noodles).